Cover strawberries, nuts, and pretzels with a sweet and creamy coating with these Ghirardelli 5 lb. white chocolate coating wafers! Once melted, they become the perfect topping or decoration for bonbons, fruits, bark, truffles, and other decadent desserts. Best of all, they're easy to melt and stir with no tempering required! 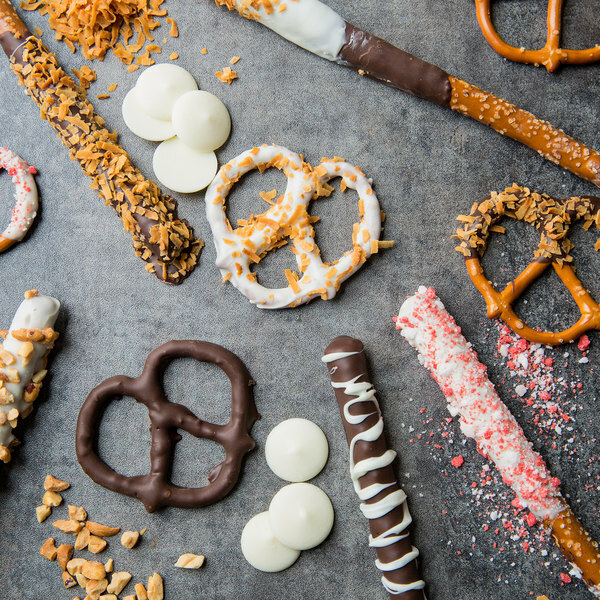 Simply dip, coat, and drizzle this white chocolate flavor on your food items to make creative food presentations with professional-looking results and glossy chocolate finishes. Customers will recognize and trust the Ghirardelli name when they see it in your cafe, coffee shop, ice cream parlor, or restaurant. Ghirardelli began with a young Italian chocolatier in the early 1800s and is now a brand widely known for its rich flavors. This sense of quality is the result of Ghirardelli's commitment to control all steps of the chocolate-making process, from roasting the cocoa beans, to refining the product for smoothness and well-balanced flavor. In addition, the company understands that sustainable sourcing and knowing the origins of the cocoa beans speaks to the quality of the finished product. No matter what dish or drink you prepare, guests are in for a treat with these white chocolate coating wafers! The Ghiradelli white chocolate melting wafers are the best I have found for my candy making. The wafers melt much better than other chips or bars that I have tried. 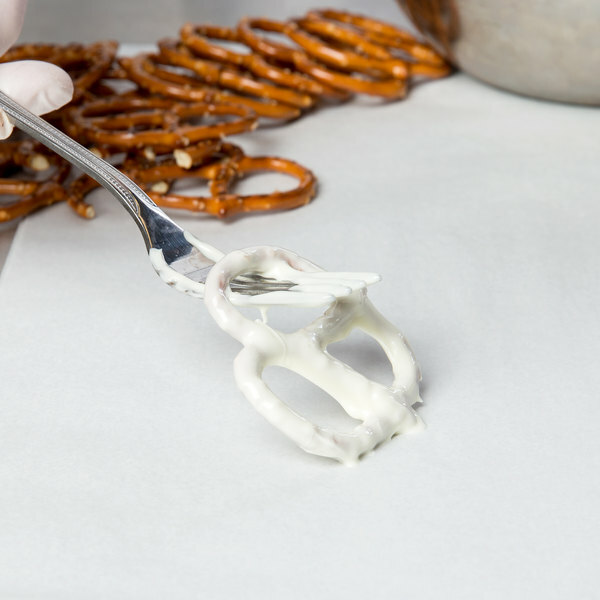 They melt smoothly without clumping or seizing. Quite possibly the Best white chocolate melting chip I've ever used in my recipes. This chip melts very smooth and easy. Perfect for fudge, cake recipes, coating, glazes......... A Baker's best friend! Excellent quality - I'm only a home baker but it is nice to have a large supply on hand for any baking or candy project. I've chopped them up to add into cookies, melted them for drizzle over cookies, and make candy decorations. Though more expensive than regular chocolate, these ghirardelli wafers are the absolute best! They taste amazing, and I found myself constantly munching on them when I bought them for my business......oops! Melts very easily. Silky smooth to dip berries, rice Krispy treats and cake pops. Will definitely order the bigger one next time. The taste is amazing! 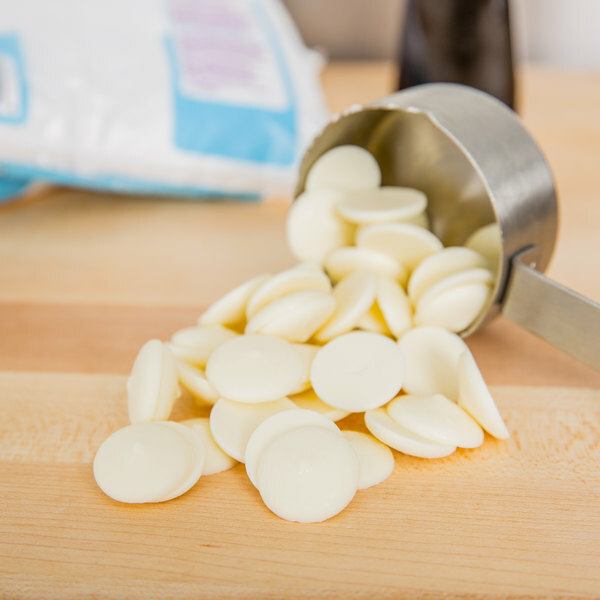 These white chocolate wafers are perfect for making cake truffles and cakepops. They melt beautifully and are easy to work with. They are just what I needed for my projects. This chocolate taste amazing. It melts perfectly and makes everything taste better. If you’re looking for good quality chocolate for baking or decorating this is a MUST buy. Get rid of your candy melts. Trust me this taste so much better. I absolutely love these white chocolate candy melts! I use them for all of my white chocolate drip cakes. 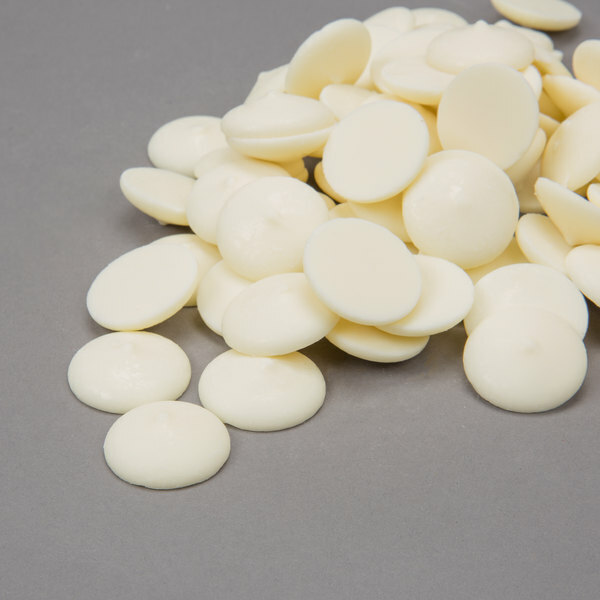 They are the perfect consistency and I like that they are more of a pure white color than regular white chocolate chips. Wonderful! A great box of chocolates! Shipping longer than expected. Melt well and work great in my poly molds. My customers love that I offer something different than other vendors. I absolutely love this product. It melts so smooth and the taste is exceptional...especially for the price. I ran out a few months ago and decided to purchase a different brand instead, what a mistake. Either the formula has changed or my taste buds have changed since I have been using Ghirardelli but it is no longer palatable to me. Webstuaraunt has made a long term customer in me. Love this stuff! Merely place in a microwave safe bowl, nuke on medium in 1-2minute intervals, stir until melted and you are ready to dip you homemade candy, fruit or nuts. It's so easy and looks so professional. Some of the best tasting white chocolate out there and I've tried most. The chocolate tasted fabulous. They are great for drizzling chocolate covered strawberries. If you use very much chocolate this is the way to go. The price is so much better in bulk. I love this product and brand! It has a rich and creamy vanilla-like taste. Not to mention, the price is quite a deal. I will definitely continue to order this product in the future. We used this white chocolate for dipping a number of candies and pretzels. It works well and tastes absolutely amazing! We love working with Ghirardelli.